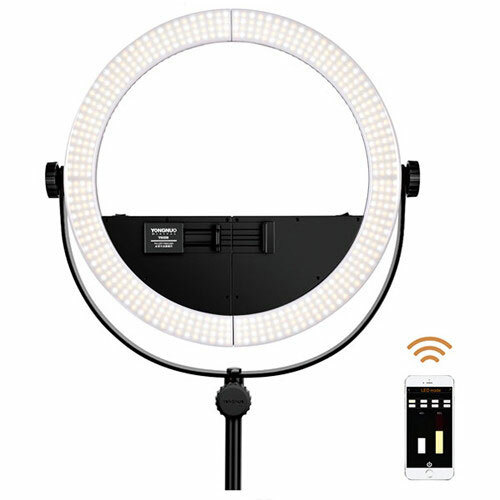 Yongnuo YN508 LED Ring Light: comes with a 2-part breakaway deisgn, mobile phone clamp, and 3200-5600K color adjustment. You can dim and change the color temperature from your phone. 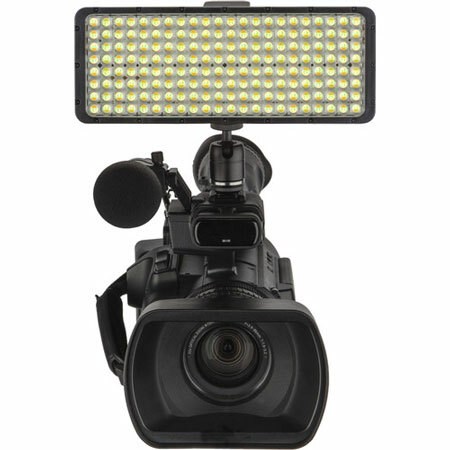 With multi-channel wireless control, you can control 8 groups of LED video lights. Lume Cube: a Bluetooth LED light for your DSLR, drone, action cam, and everything in between. It features 10 manual brightness settings. You can control a group of these together. These are waterproof to 100ft. 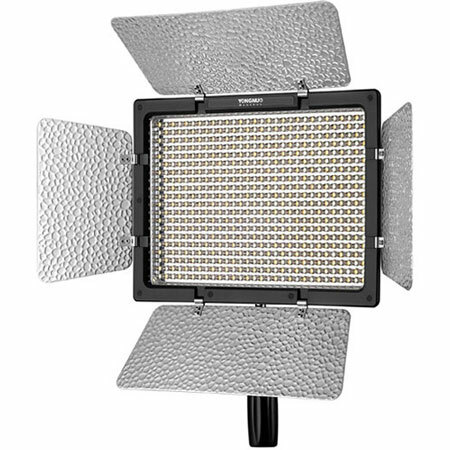 Luxli Timpani 1×1 RGBAW LED Light: offers 2800-10,000K color temperature. You can use the RGB wheel to select color. 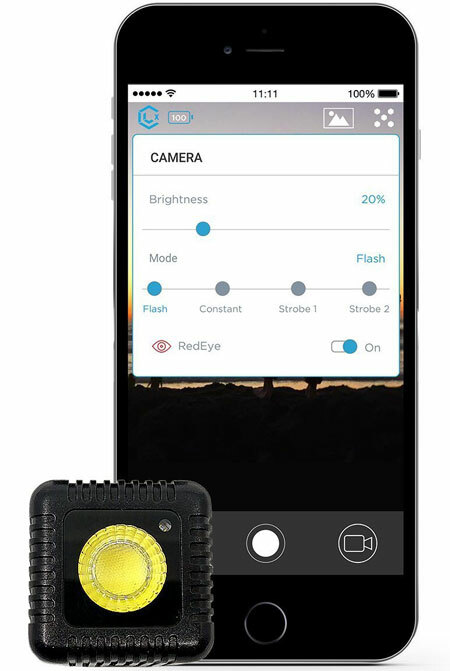 The light can be controlled from an iOS or Android device via Bluetooth. 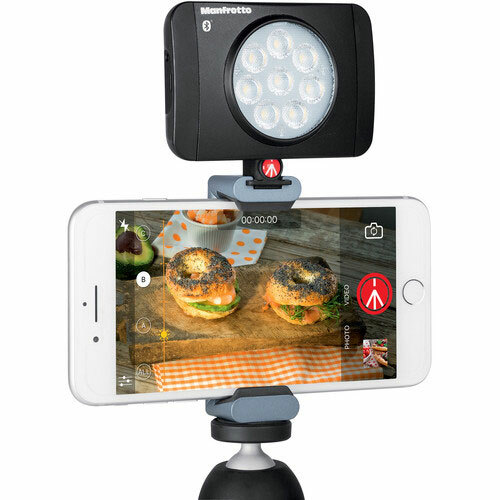 Manfrotto Lumimuse 8: comes with 4-step dimming and 8 LEDs. It has a clip-on filter holder, Tungsten and Diffusion filters, and shoe mount. Luxli Cello 10″ RGBAW LED Light: a 176 RGBAW LED light with adjustable color, and white, RGB, and filter modes. The Conductor app gives you access to lighting effects and lets you create your own. 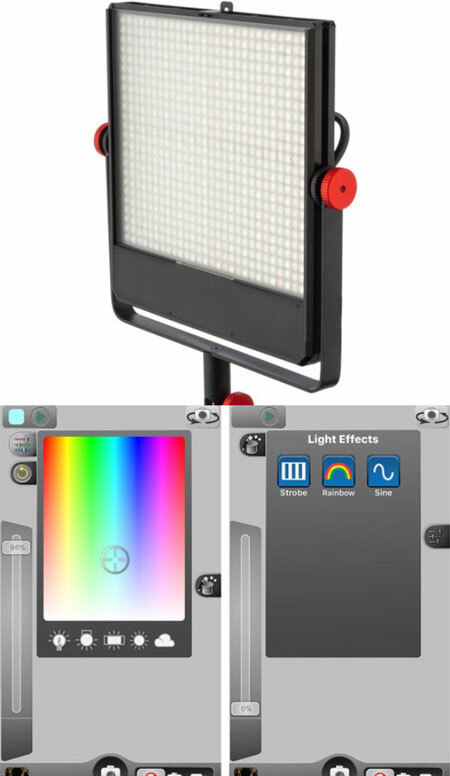 Yongnuo YN-600II: comes with variable 3200-5500K color temperature. It has rough and fine dimming modes. It is fan cooled and draws 36W power. 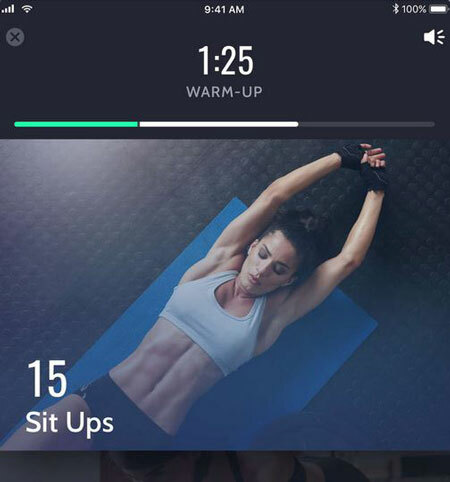 It works with iOS and Android devices. What are your favorite app smart video lights? Please share them here.